What a busy time of year this is. From Thanksgiving to Christmas, our lives our filled with activities. Christmas parties, school activities and programs, shopping, football playoffs and the beginning of bowl season. So much to do, it’s amazing that we can cram it all in before the end of the month and still come out with our sanity. We often cram so much in that we forget what the season is all about. 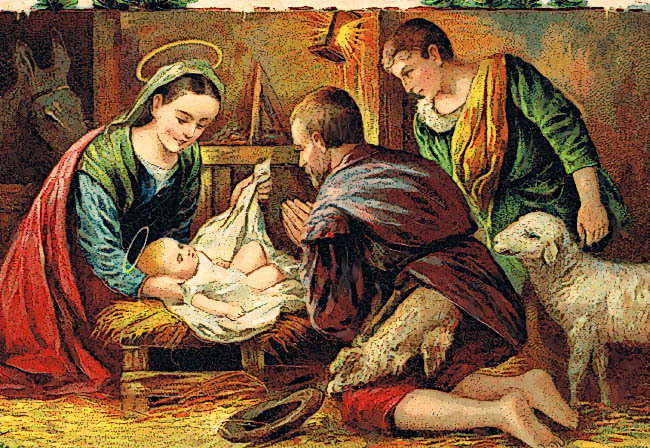 We forget that we are celebrating the birth of Christ. Luke says there was no room at the inn. We are really given no indication of why the inn was so crowded other than perhaps people traveling back to Bethlehem to register as decreed by Caesar, but I can imagine an inn full of people. And when people get together, they tend to eat and drink. Essentially, I can imagine a party going on. Old friends who hadn’t seen each other in a long time, family members who only came together at times like this. Food and drink in abundance and people partaking of it until the wee hours of the morning; singing, dancing and making a ruckus….all supposition, but it sounds a lot like some of our Christmas parties we attend. I can imagine (I have a good imagination sometimes) the scene playing out something like this. A man and his very pregnant young wife who is very obviously in labor, walk through the front door of the inn while a huge celebration is going on. Imagine everyone stopping and staring for a moment; and then returning to whatever they were doing at the moment. So that’s what they do. Now of course, I’m not sure if this is exactly how it all went down, we’re never really told. But, we know that Jesus was born in a manger, a lowly place, a place fit for animals. But that’s where Jesus came into this world. Do we send Jesus to the stables in our lives? I think this is a time to celebrate. It is a great time to get together with family and friends. I just hope that I can remember who we are celebrating this time of year and invite him with me to the parties. In fact, I hope He is the reason we are getting together and we can all remember that this season. I for one can use this reminder this season as I can definitely get caught up in the lights, the color and the activities. I will use this as a reminder, to invite Jesus in with me instead of sending him out to the manger of my life.